This year’s New Year’s Day birding trip on Plymouth Long Beach didn’t disappoint. The weather was beautiful; in fact, it was a balmy 42 degrees with partial sunshine and a brisk wind. Our group of nine eager birders walked from the Goldenrod field station along the beach and around the northern tip of Long Beach. We returned on the harbor side with the wind at our backs and relaxed at the field station while perusing the skies and water for more birds. There was a nice variety of sea ducks; we even saw a few of the surprisingly scant Brant that remain in and around Plymouth as well as a Horned Grebe, and one of my favorite sea ducks: the striking Long-tailed Duck. 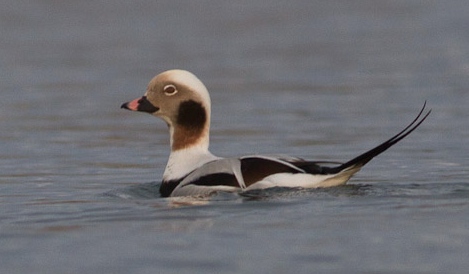 A handsome male Long-tailed Duck. Halfway to the point, a flock of small birds fluttered up and down utterly unlike the precise coordination of the flight of shorebirds. At a distance, they almost looked like a swarm of insects. As they flew toward us, we delighted in viewing one of the winter treats of Long Beach: Snow Buntings, which breed in the high Arctic. 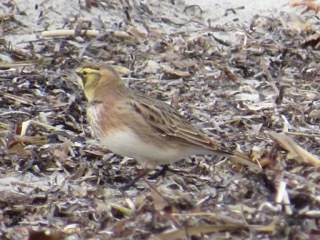 Landing in the wrack, the line of seaweed left by high tide, the flock revealed another member – a Horned Lark. 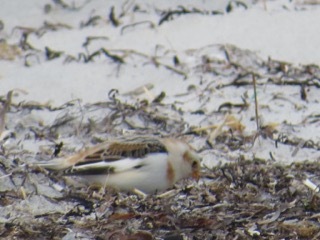 A Snow Bunting seeking food. Photo credit: Lisa Meeks. 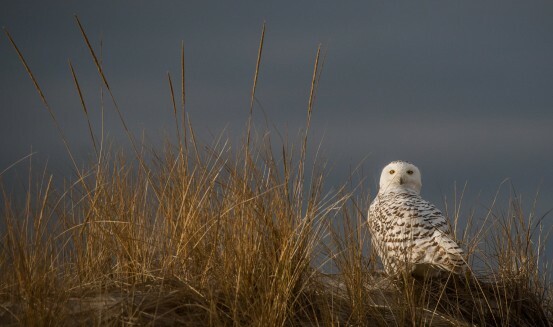 Diligently we searched for a Snowy Owl to round out the trip – one had been seen the day before by the trip’s co-leader, Lisa Meeks, and subsequently photographed by Goldenrod board member Ian Davies. Alas, it was either miles away or tucked away in the dunes out of sight. 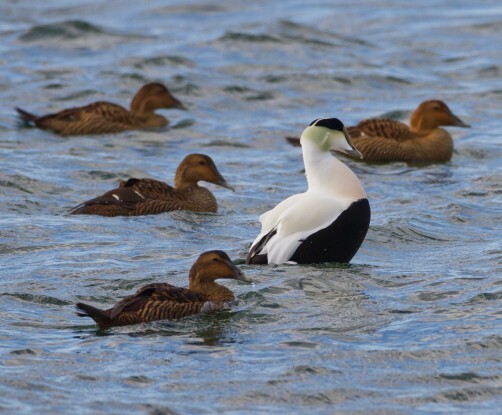 To console ourselves, we admired more Common Eiders and added Bufflehead and Horned Grebe to our list. All in all, a delightful first day of 2016 spent birding on the beach. 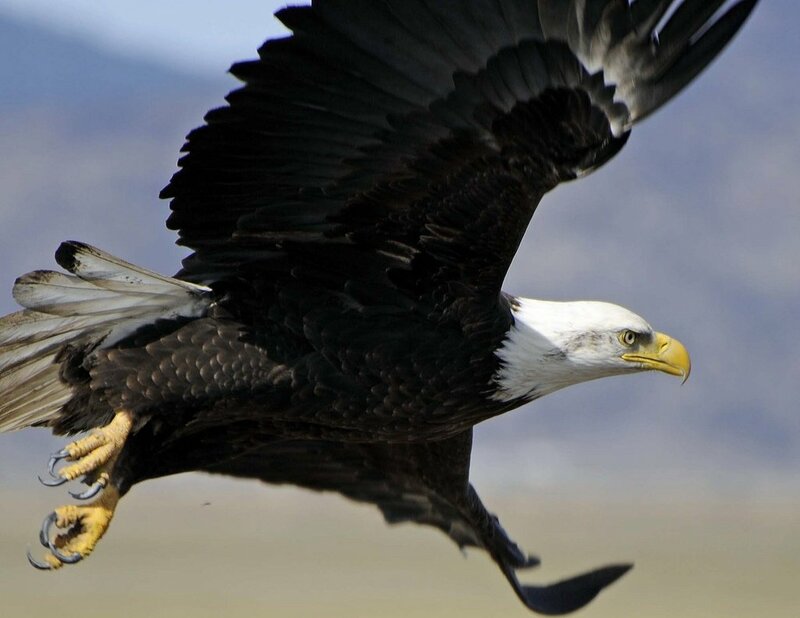 Full bird list below. Photo at top by Jan Spence. Four female Common Eiders in cinnamon brown plumage. Notice the subtle green sheen on the male’s head.